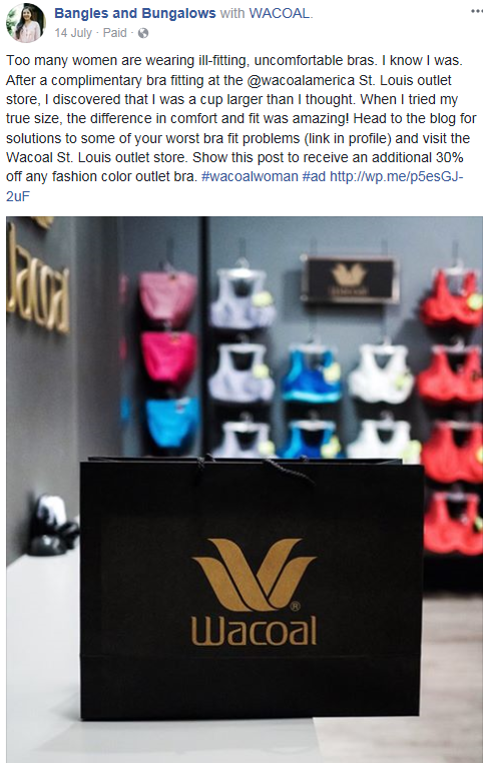 H&S OVERSAW THE WACOAL INFLUENCER PROGRAM WITHIN THE ST. LOUIS MARKET ENGAGING FIVE INFLUENCERS. 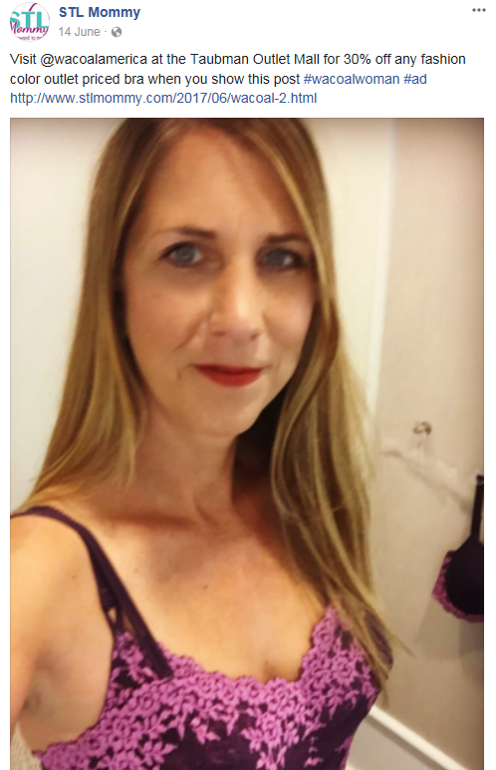 H&S managed an influencer program within the St. Louis market, engaging with five influencers to create social and blog content in exchange for gifted product and paid promotion to help drive traffic to the Wacoal St. Louis outlet. H&S delivered a social engagement program which included paid and earned content that with a call to action to visit the St Louis Outlet. Over the course of five months, the program garnered 24 social media posts and 528,117 impressions.